All at Cornwall CLT wish our members and supporters a Merry Christmas and a successful New Year. We anticipate that the Government will finally confirm details of its £60 million per annum fund to support community-led affordable homes just before Christmas. This was previously announced in the Spring Budget. We expect funds will be rolled out from early 2017. Cornwall CLT will be charged with promoting higher levels of affordable home development across Cornwall in the coming years. Working with local CLTs, parish councils and community groups, Cornwall CLT has ambitions to more than double new affordable home development across Cornwall and the Isles of Scilly to more than 50 new homes per annum. The fund – which has been raised through stamp duty land tax on second homes – is intended to bridge the viability gap on community-led affordable housing schemes; to produce more affordable homes for rent, shared ownership and (discounted) sale. We thank the Government and Sarah Newton MP for their efforts. If you would like to know how Cornwall CLT can support the ambitions in your community please contact us. Cornwall CLT has completed housing schemes at Landrake, St Teath and St Martins, Isles of Scilly during 2016. Seven affordable rented homes at Landrake in partnership with a registered housing association, Aster were built by JJ Jones of St Austell, launched with Landrake and St Erney Parish Council in May. Eight homes for sale at less than 60% of market rate are now occupied at St Teath, built by KMD – Will Kitto and Richard Morey, builders from the village. The delighted local occupants from the community are now paying on average less than two-thirds (in their mortgage) than they were previously paying in private rent whilst now enjoying a new, much more spacious, higher quality, more fuel efficient, brighter and more secure home than previously. Another success for Cornwall CLT. St Goran CLT has completed its ambitious plan to safeguard, redevelop and improve three flats previously owned by the church and to purchase and redevelop the old schoolrooms into 2 further flats and a community room. This has involved tremendous fundraising effort by the committee of hardworking volunteers, led by Bob Thornton, its Chair. 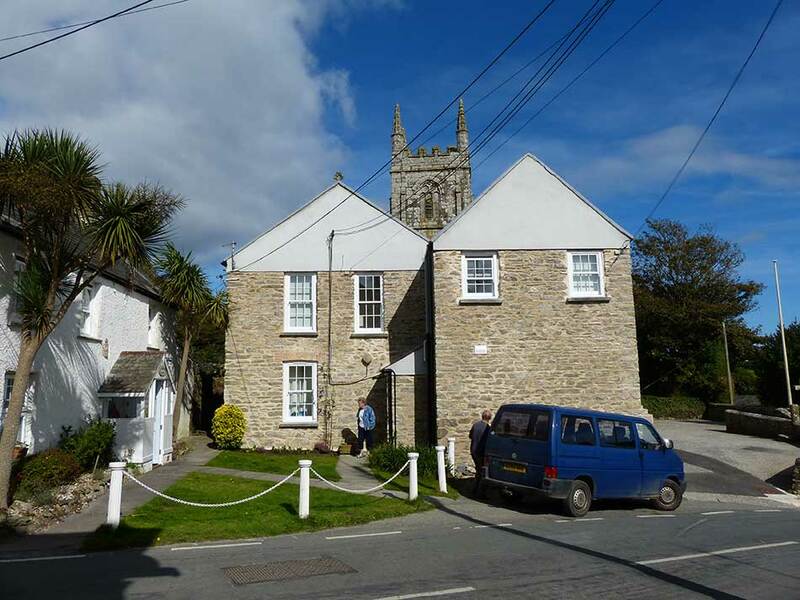 Cornwall Rural Housing Association is now managing the 5 rented flats for St Goran CLT. Cornwall CLT will help to deliver two of its largest projects at Rame in Wendron Parish, West Cornwall and at Duloe in East Cornwall in early 2017. At Rame, Cornwall CLT has worked with a Housing Working Party set up by Wendron Parish Council to bring forward a development of 16 affordable homes – 11 for rent and 5 for shared ownership – in partnership with Coastline Housing. The new homes are expected to be completed in early 2018. The site includes a public open space which will be managed by the Parish Council. 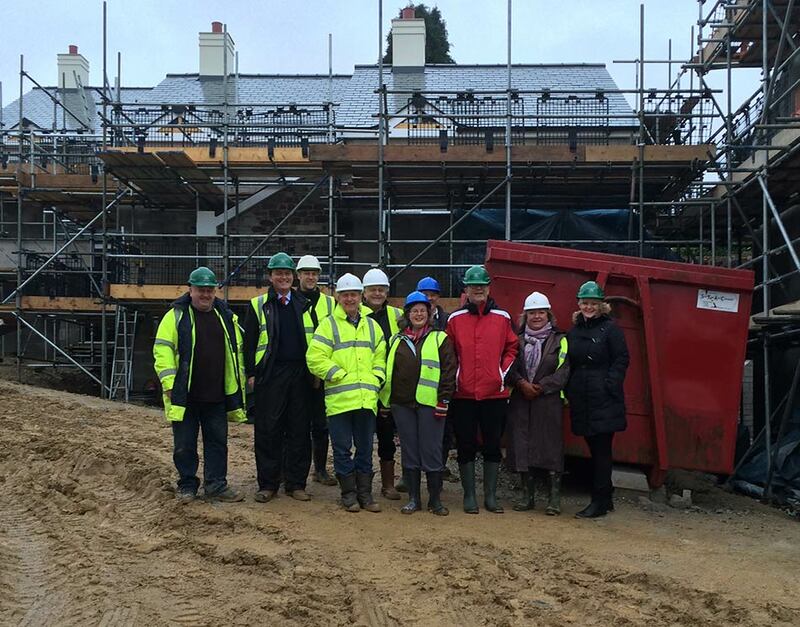 At Duloe, the Parish Council has been working with Cornwall CLT to prepare plans for 18 new homes – 10 shared ownership, 8 rent – in partnership with Aster Housing. The development which will take place on Duchy land is close to the village hall and the community shop. This development is expected to be completed in early 2018. Grade Ruan CLT has plans to build 6 new homes at Ruan Minor. A planning application is anticipated shortly. Cornwall CLT has been working closely with Grade Ruan CLT to help them bring forward their proposals. Constantine CLT is working up proposals to develop at least 8 affordable homes for partial sale and rent and is working with Cornwall CLT to advance its ambitions. The successful St Minver CLT is now working in partnership with a local landowner on what will become its third phase of development in the village of Rock. The two previous phases of mostly self-build homes and also rented homes which are rented by Cornwall Rural Housing Association have been a great success and have attracted national coverage and attention. St Ives CLT is looking closely at a number of sites around the town in the hope of bringing forward a project during the year and Truro CLT is looking closely at potential buildings on sites in the city. Cornwall’s Local Plan was finally adopted in November this year. It will provide a firm base on which communities can bring forward their proposals for affordable homes. Cornwall CLT is pleased to see a robust reestablishment of the “Rural Exceptions” Policy (Policy 9). As the Local Plan says: “Normally we would expect proposals that come forward as Rural Exceptions sites to comprise of dwellings that are all restricted for occupation as local needs housing in perpetuity”. (Para 2.58). The National Housing Taskforce was commissioned by the National CLT Network to organise an Inquiry into how to support and enable “new sources of housing supply”, including small builders, self-build, custom build and community-led providers. Cornwall CLT has supplied information to the Inquiry. Cornwall CLT has been lobbying Government Ministers and MPs for an improvement in the grant funding regime and to support rented as well as sub-market sale affordable homes, in recognition of the significant contribution that community-led housing can make to meeting the need for affordable homes. The Government recently announced a new £3 billion Home Building Fund which will provide development loans to community-led providers including CLTs. The loans can be up to £250 million for up to 5 years and interest will be charged at commercial rates. Applicants must be planning to build at least 5 homes that wouldn’t progress quickly, or at all, without this finance. The National CLT expressed concern that the Government takes a realistic and informed view of the risk of community-led housing and that the interest rates charged do not threaten the viability of projects. 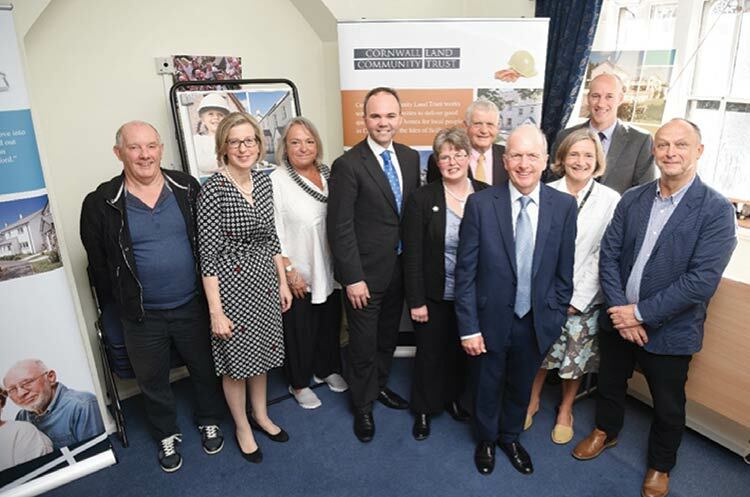 On 30 September 2016 Housing Minister Gavin Barwell MP paid a visit to Cornwall CLT and, the following day, visited St Minver CLT. Staff and Board Members of Cornwall CLT outlined its work and the important contribution that CLTs can make to meeting the need for affordable homes in rural and semi-rural areas across Cornwall. Gavin Barwell was accompanied by local MP, Sarah Newton, who helped to facilitate the visit. The Minister applauded the work of the CLTs. This helped reinforce his commitment to make sure that CLTs were at the forefront of delivering the new homes which the Government hopes will be provided with the support of its newly announced £60million per annum Community-Led Housing Fund. Don’t forget to contact Cornwall CLT whichever stage your project has reached. We hope to announce soon a new “Feasibility Fund” to help local communities at the very earliest stages – undertaking housing needs surveys and early feasibility work. The CLT Social Investment Fund managed by CAF Venturesome, is a bespoke fund for CLTs that provides loans of up to £80,000 to get a project to planning application stage, including preparing plans, commissioning architects and surveyors and submitting the plans. The finance is repayable only if your planning application is successful. The Community Buildings and Housing Grant Programme is a Government grant started in April last year to help community groups produce a community right to build order or community-led planning application for housing. £3 million in total is available until March 2018 and CLTs are eligible to apply. The £4 million Cornwall Council revolving loan for CLTs is still available. Funded and administered by Cornwall Council any CLT in Cornwall can apply via the Affordable Housing Team for loan finance to fund the development stage of a CLT project delivering discounted sale homes. With no arrangement or non-utilisation fees and a competitive interest rate, this loan has been a valuable source of finance for Cornwall CLT and other CLTs in Cornwall. Cornwall CLT is currently negotiating revised terms for this loan fund to make it more accessible, and hope to announce details in the New Year. For further information or advice on funding CLT projects please contact us- we can help with business plans and applications.